My thanks to Deborah Pozin for the heads up on this one. The original article can be read here – but for a quick short cut – ten tips from the National Security Agency no less on how to keep your Mac safe. 1. System Preferences/Accounts: Create a non-admin account for everyday activities. 4. System Preferences/Security: Require password “5 seconds” after sleep or screen saver begins. 5. System Preferences/Security: Use secure virtual memory. 6. System Preferences/Security: Disable Location Services. 7. 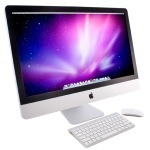 System Preferences/Security: Disable remote control infrared receiver. 8. 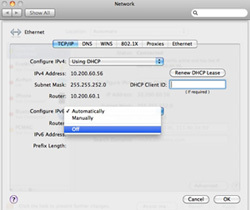 System Preferences/Network: For every network interface listed click “Advanced” then the “TCP/IP” tab. “Configure IPv6:” to “Off” if not needed. 9. Utilities/Terminal: To keep users and guests from snooping around home folders, run this command:sudo chmod go-rx /Users/username. 10. Utilities/Terminal: Disable unnecessary services by using the chart to the right with this command:sudo launchctl unload -w /System/Library/ and LaunchDaemons/com.apple.blued.plist.